Extremely Rare Find here. 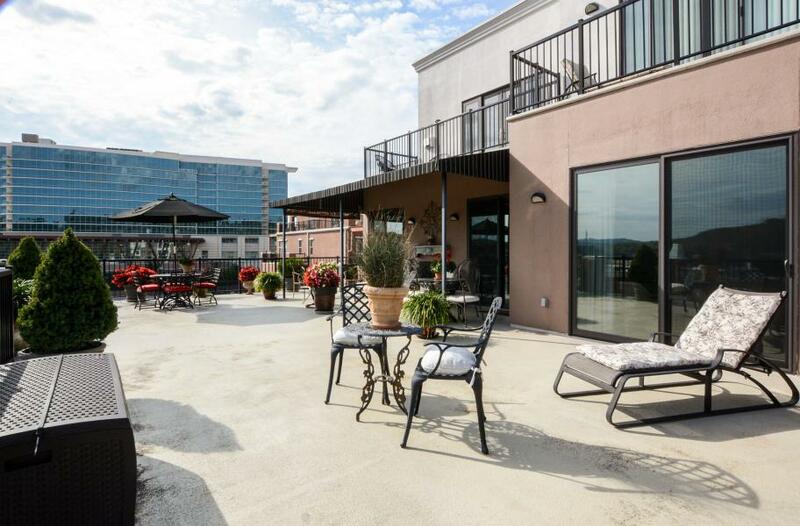 Personal health reasons force the sale of this magnificent 3-Bedroom, 3 Full Bath Branson Landing/Boardwalk Condo. Luxury & sophistication, as well as extraordinary views define this hard-to-find opportunity for the discriminating buyer. The exquisite design easily facilitates indoor-outdoor living. Over 1100 square feet of deck, which is partially canopied. Views of the Boardwalk's Promenade for watching shoppers go by, or the occasional Branson Landing parade, even a 5K Walk can be seen. BUT, that's not all, watch fisherman & boaters on Lake Taneycomo.New Tile Flooring, wide crown moldings & baseboards,Larger Utility Room, Custom D.Room. This is a one of a kind home, designed for Full Time Living by these original owners. A MUST see, no comparison to the othersEnjoy the open living accented by 9' ceilings, open kitchen with newer refrigerator/ice maker, microwave, convection oven and double dishwasher, wet bar with refrigerator, see-through gas log fireplace that serves both the Great Room and the canopied portion of the outdoor deck. You will find 3 full baths, 2 of which are en-suite, bedroom 2 has its own private balcony perched high above the Promenade Shops. Very high-end Plantation Shutters adorn windows in bedrooms and the formal dining room. Also, the propane that serves the fireplace is included in the monthly COA dues. Finally, this luxurious condo comes with 2, count 'em 2, underground parking spaces. If you are that discriminating buyer who deserves & demands only the very best... make your showing appointment immediately. Listing provided courtesy of Silliman Realty & Associates. © 2019 Southern Missouri Regional MLS. All rights reserved.